Every year, DFDS transports more than 1.8 million passengers to the French ports of Calais and Dunkirk using their popular ferry crossings from Dover, and yet only a small percentage take the time to enjoy these bustling port towns for themselves. 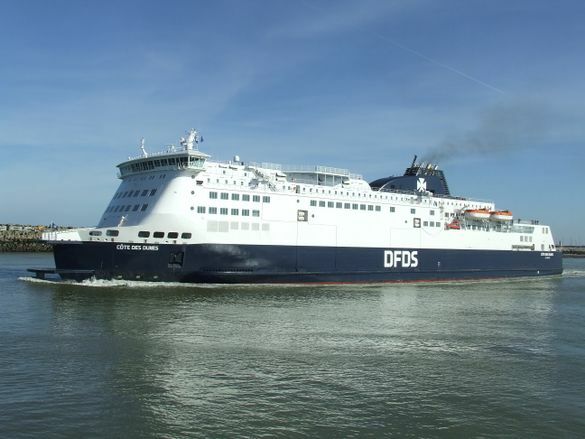 DFDS, in partnership with the Calais Tourism Office and Dunkirk Tourism Office, has launched ‘See Ports’ – a campaign encouraging its passengers to take the time to experience all that these vibrant towns have to offer. DFDS is also offering exclusive discounts for local attractions such as the World War II Museum in Calais and Princess Elizabeth Restaurant and Tea-room in Dunkirk, in addition to free entry to Dunkerque Wine and Beer Fair (26-29 October), to further entice people to visit*. To launch the campaign, DFDS visited both Dunkirk and Calais to ask locals and visitors what it is that they love most about the destinations – with the beaches, good food and culture being popular choices in both towns. To view the Dunkirk and Calais videos, click here. Calais has long been an important gateway for trade – however this friendly town is the perfect spot for anyone wanting to spend a long weekend in a quaint, traditional setting. Residents describe the town as both interesting and endearing, with the beach being a favourite spot for those seeking sun, sea and sand in the warmer months. Alternatively, for those looking to try out adrenaline pumping water-sports, the beach provides ideal conditions for wind-surfing and kite-surfing year-round. To book a trip, or to find out more about the exclusive ‘See Ports’ offers ranging from discounted entrance fees for museums, gardens and historical sites, to sporting activities, and food & drink, visit dfds.co.uk.